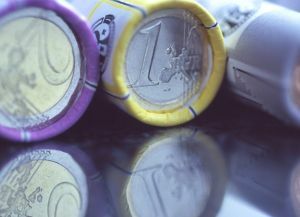 The Euro Challenge 2013 is an exciting educational opportunity for high school students (grades 9 and 10) to learn about the European Union (EU) – the largest trading partner of the US – and its single currency, the euro. For the competition, students research problems and solutions to Europe's economic challenges. A team of three to five students presents its findings in a competition format. The best teams from each region travel to NYC to compete in the national finals at the Federal Reserve Bank of New York. Conditional on an annual grant, winning teams can win awards and a trip to Washington D.C., generously offered by the Moody's Foundation. The program offers students of global studies, economics, world history/geography or European studies a unique experience that moves them out of the classroom into the real world. The competition requires no previous knowledge of economics. Register by October 22 for an expense-paid teacher orientation workshop in Chicago on November 5, 2012. Visit http://www.euc.illinois.edu/eurochallenge/ for more information.